I have long maintained that this is not a serious history blog. Though I do attempt to provide good-ish information, and have generally completed at least some “research” on the topic, I’m a storyteller first and so I often fill in a few blanks along the way. And, on occasion, I may throw in a few anachronisms that you, intelligent reader, I assume will pick up on. Still, I think it bears repeating, if you are starting your big school history research project and the first thing you’ve done is stop by to see what the practical historian has to say about it, you’re probably not going to get a very good grade. That’s why I decided recently that I should beef up my credentials a little so that I can provide more reliable, useful information. 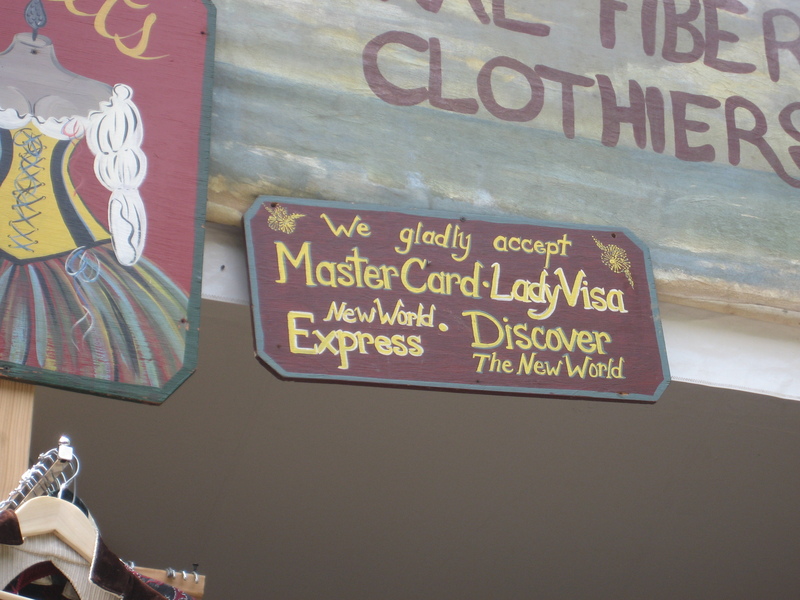 With that in mind, this past weekend, I attended, for the first time ever, a Renaissance festival. Just for you. It turns out, I don’t live too far from the site of the annual St. Louis Renaissance Faire, a festival that isn’t the biggest (that’s in Texas where everything is bigger) or best of its kind (or even the top 13 according to the Travel channel), but seemed to me like a good place to start my quest for historical accuracy. The real Renaissance is that period of time that spans the gap between the Middle Ages and life that is somewhat more recognizable by us modern folk. Generally considered to stretch from the 14th century to the 17th, it started as a cultural explosion in Florence and much like the black plague, spread through all of Europe. 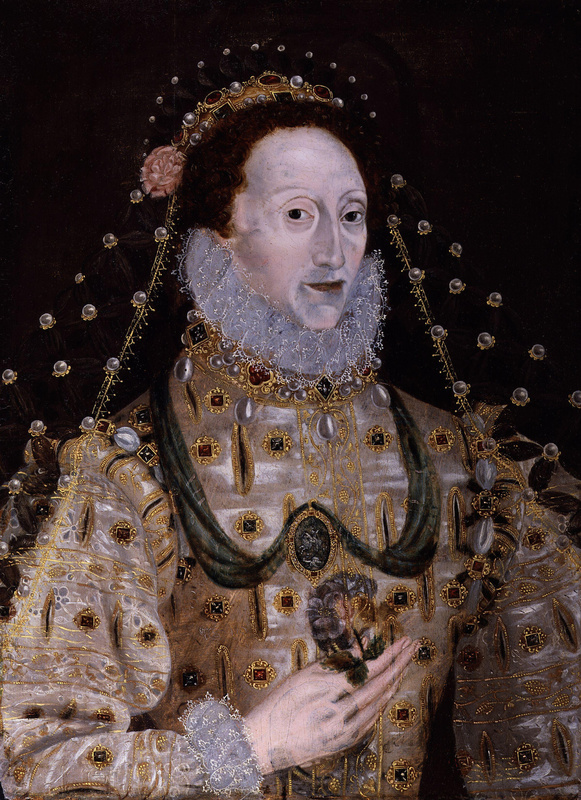 Queen Elizabeth I didn’t get the memo about the cleavage. Evidently she had no sense of style at all. incredibly tight corsets. I even saw a too-tight corset paired with a pair of sweatpants. So, evidently, there were also no decent tailors. The Renaissance can be marked by the presence of elves, although admittedly this could have been only in France. A lot of elves. Many of them had bows. Some wore jester hats and jingling shoes. Still others had too-tight corsets. But though they varied, they could all be easily identified by their very pointy ears. Bands of singing and dancing Caribbean pirates roamed village streets. They were not the clandestine thieves you might expect, but rather were garishly dressed, self-identified as pirates, and occasionally performed for royalty. Someone should probably tell theses “gentlemen” that they belong in the Caribbean in the early 18th century, not in 16th century France. To illustrate the point, Captain Jack Sparrow was there, too, but he was too surrounded by an adoring crowd to get a good picture, as I was unwilling to wait in line. The waffle cone, suggested by many to have been invented at the 1904 St. Louis World’s Fair, was a favorite treat of European royalty during the Renaissance. If one could manage to avoid the elves, there was still the large number of fairies to contend with. So many fairies, complete with delicate wings, blue-tinted skin, high-pitched sugary voices, and sparkly magical fairy dust. It was best to avoid these whenever possible. Jousting knights mostly told jokes, especially puns. They loved puns. They also enjoyed insulting the attending royalty, who were pretty much cool with it. The most popular food of 16th century France was by far the turkey leg. As most sources claim that the turkey, which is native to the Americas, arrived in Europe in the 17th Century, I think we can safely assume that those sources are wrong. King Francois II of France did not speak French. I know this because my nine-year-old who only knows a few French phrases had the opportunity to be knighted. When the king addressed him in French, my boy responded politely in the king’s own tongue, to which King Francois blushed and quickly changed the subject, in English. So there you have it, the real Renaissance as best as I can tell. I should caution you, though. If you happen to be starting your big school history project on 16th century France or the Renaissance in general and you start by checking out the St. Louis Renaissance Faire, you’re probably not going to get a very good grade. Unless of course you happen to be writing about elves and fairies. In that case, you should be good. I haven’t laughed so much in a long time, thanks! You’re very welcome. Don’t you just want to run right out to a Renaissance Fair(e)? Actually, it was fun as well as ridiculous. 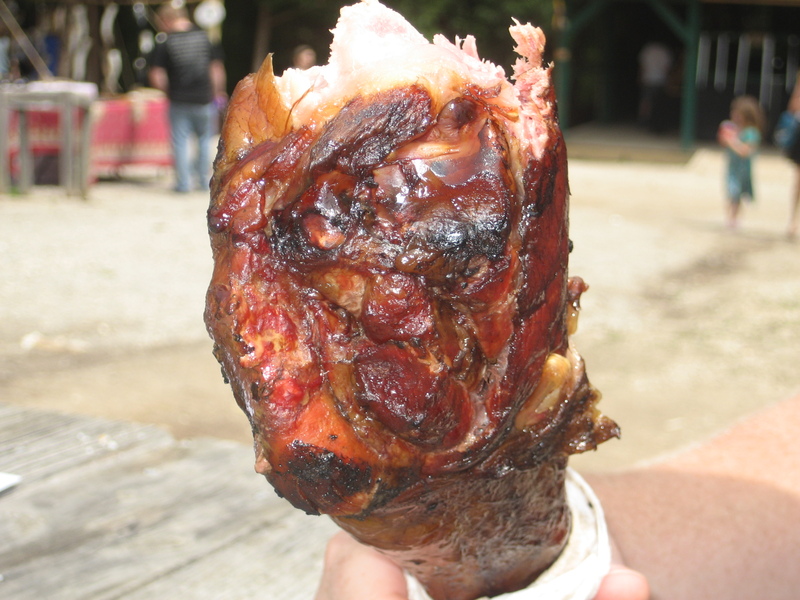 Yeah Turkey legs are the big thing at our Renaissance fair near Cincinnati, that and Mead which no one that attends seems to worry about if its historically accurate! You know the idiom: Don’t let the truth get in the way of a good time! So true! Well, in this case anyway. 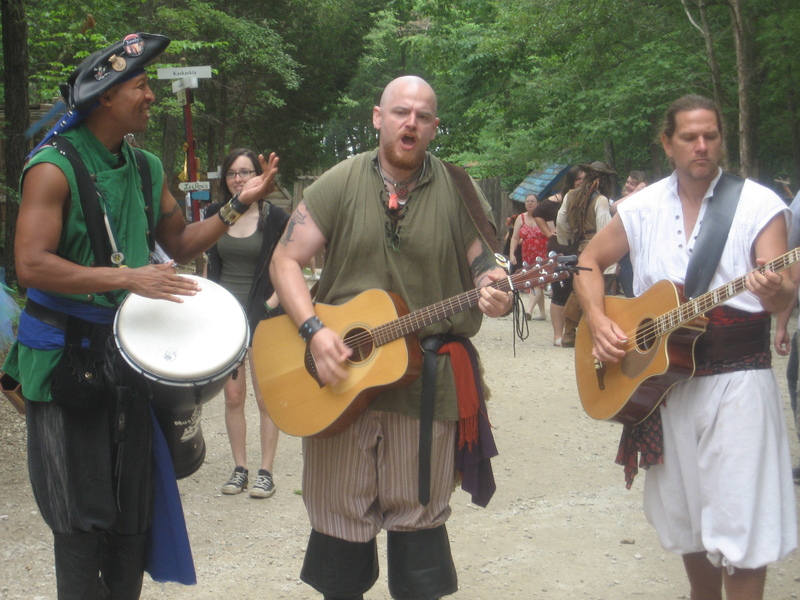 Its good that you attended renaissance festival for the people like us who have never attended. In fact you have given exact approx for the origin of renaissance era because many people confuse in between renaissance era and middle ages due to small time gap in between them. It’s easy to confuse the two time periods because the Renaissance describes the fluid emergence of new ideas that slowly took hold and spread. Unlike some historical periods, it’s difficult to pin it to a specific historical event to mark its beginning nicely. Some historians have tried, but there doesn’t seem to be any kind of consensus. I want you to be my guide at every festival ever. Fact.